British Prime Minister Theresa May has called on her Conservative Party to pull together and unite behind her Brexit plan, saying “if we hold our nerve” she can win a deal “that delivers for Britain”. On the final day of her party’s conference, Ms May rallied members, trying to address their concerns that the Conservatives are becoming increasingly directionless under the weight of Brexit by calling on them to look to a brighter future. 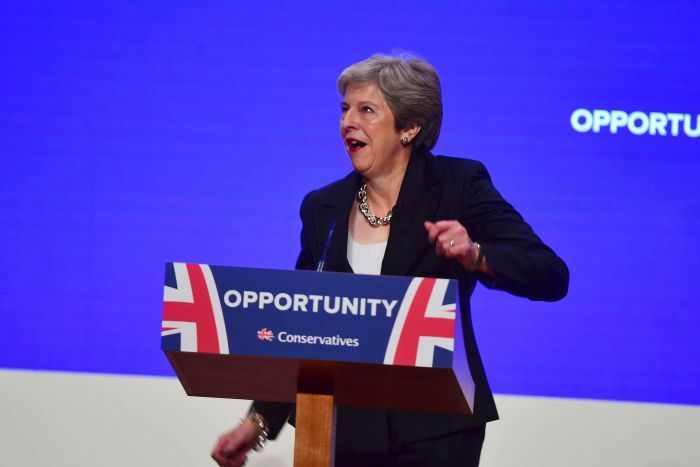 Dancing onto the stage in the city of Birmingham to ABBA’s Dancing Queen to a standing ovation, Ms May poked fun at herself after her dance moves were mocked on a trip to Africa and after last year’s conference when her speech was disrupted by a coughing fit, a stage intruder and a disintegrating set. It was a warm welcome for a leader whose fragile position was put under further pressure after the EU rejected parts of her so-called Chequers plan and critics stepped up calls for her to rethink her strategy for Brexit, Britain’s biggest trade and foreign policy shift for more than 40 years. “If we all go off in different directions in pursuit of our own vision of the perfect Brexit, we risk ending up with no Brexit at all,” she said in a clear nod to eurosceptic lawmakers who have published their alternatives plan for leaving the EU. Labour leader Jeremy Corbyn, she said, would “outsource our conscience to the Kremlin”. The pressure Ms May is under from some in the party was underlined less than an hour before she was due to speak when Conservative lawmaker James Duddridge said he had submitted a letter to the party’s so-called 1922 committee, calling on her to resign. Forty-eight lawmakers would need to write such letters to trigger a vote of confidence in the leader. “Turns out there is a plan. 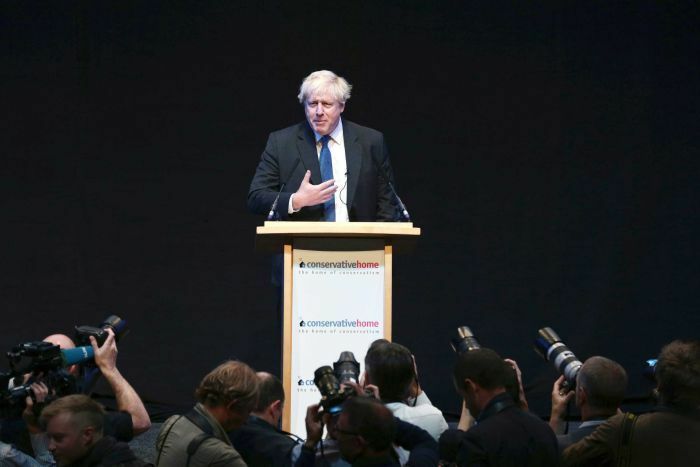 That plan is Boris,” Mr Duddridge wrote on Twitter after Boris Johnson’s speech on Tuesday. But in that speech, Mr Johnson seemed to pull his punches, backing Ms May for now while making a rallying cry for the party to return to its traditional values and to “chuck Chequers” in a sign of his leadership ambitions. Taking a swipe at Mr Johnson, Ms May said she was taking decisions on Brexit in the “national interest”, pressing her argument that her former foreign secretary’s alternative Brexit proposals would tear the United Kingdom apart.